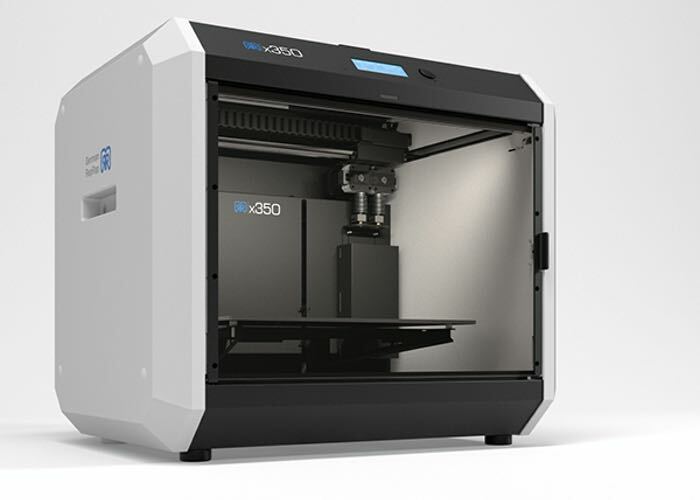 3D printer manufacturer German RepRap has this week unveiled their latest creation in the form of the RepRap X350 3D printer which is now available to preorder and is priced at €2500 as an introductory offer until June 30th, 2015, after which the price will increase. The RepRap X350 offers a build volume of 350 x 200 x 210 mm and is capable of creating a layer thicknesses of just 0.2 mm, whilst offering a maximum print speed of 150mm/s. The RepRap X350 3D printer is capable of printing a variety of different filaments including PLA, ABS, PS, PVA, PP, Laybrick and Laywood to name just a few and is equipped with a three-point heated print bed. “With the X350 German RepRap remains to its pioneering roots in providing cutting-edge technology 3D printers, developed and designed to meet the needs of industrial users and demanding consumers. There is no 3D printer available with a more optimized print space compared to its size. The rectangular build platform allows better utilisation of the print area since most print models don’t have a square foot print. A highlight of this device is the integrated web interface that allows the operation via Wifi or LAN through a standard web browser. The new RepRap 3D printer will be showcased during the Rapid Fair at Long Beach, California later this month between May 18 – 21st 2015. For more information jump over to the German RepRap website for full specifications and the ability to pre-order.